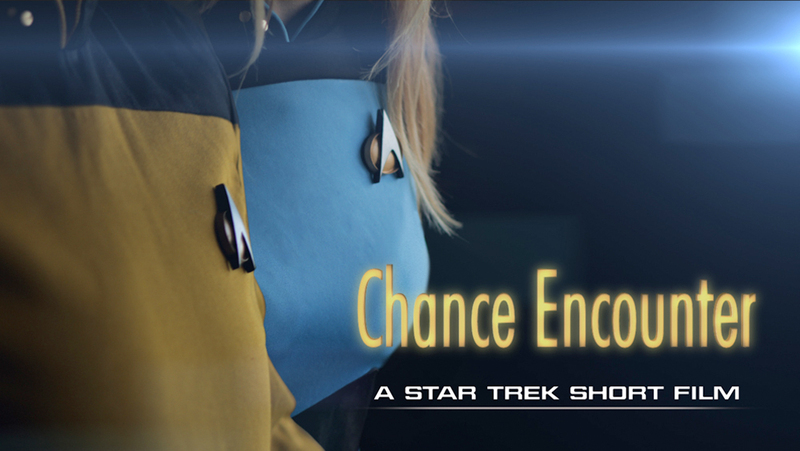 CHANCE ENCOUNTER, a Star Trek short film, begins shooting TODAY! 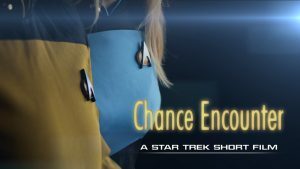 Back in May (a month before the new fan film guidelines were announced by CBS and Paramount), a fan production out of the United Kingdom set out to raise $2,500 in a Kickstarter campaign to fund a short Star Trek fan film called Chance Encounter. They were successful and immediately began to build their one set (the interior of a Type-15 TNG-era shuttlepod), create costumes, and hire cast. Then the fan film guidelines came out. Would it be a problem for this production? Well, the production is already intended to be a short one-shot film, so the first guideline limiting run-time to 15 minutes and forbidding a continuing series won’t be a problem. The title Chance Encounter doesn’t have Star Trek in it, so guideline #2 is safe. In fact, nearly all of the guidelines have been followed, including a Kickstarter that raised less than $50,000 (significantly less)…although perks were distributed. Of course, the Kickstarter happened before the guidelines were released, so it’s probably okay. We will audition professional actors. Once we have cast these actors, we will have to pay them to act in our film. So unless the production decides not to compensate their cast, this will undoubtedly be one of the first fan productions to truly test the new guidelines. Granted, because Chance Encounter was already in the process of casting when the guidelines were announced, it’s possible that the studios will look the other way. After all, nearly all the rest of the guidelines were followed, fan productions should be allowed a short transition period for those projects already in progress, and let’s face it, it’s not as easy to sue fans in a whole different country as it is to simply drive up the 5 freeway 35 miles to serve papers. 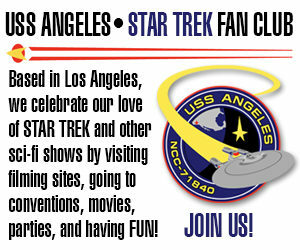 I do not like the Star Trek fan film guidelines. I’d rather throw them in a kiln. I do not like them day or night. I do not like them Les, Selman & Shari I am! Small Access, that’s the place for you! It gives us fans something to do. Hoping for some rule removal. We do much more than just complain! We tell our truth; there are no lies. We push the studios to revise. So join us, join us, help us win. Tell your friends and tell you kin. The less chance they’ll ignore us all! I think I was one of the first to join. I’ve had my share of expressing myself there as well. And as a songwriter who understands a little about IP, awesome rhyme scheme. Previous Previous post: JONATHAN LANE discusses the FAN FILM GUIDELINES and SMALL ACCESS on the SHANE PLAYS RADIO SHOW + PODCAST!